In spite of the extensive efforts made by researchers and practitioners over the last fifty years, software engineering is still facing tremendous challenges. Several well-recognized software development paradigms have been studied and applied, but considerable difficulties and problems with software productivity and quality are still serious. In this paper, we present an Agile Formal Engineering Method called Agile-SOFL for achieving high software productivity and reliability, which is the result of our recent five-year KAKENHI research project involving four universities and one national research institute in Japan. We describe the overall idea of the method and discuss every activity involved in the method with examples to ensure the readability of our discussions. Shaoying Liu is Professor of Software Engineering at Hosei University, Japan. He received the Ph.D. in Computer Science from the University of Manchester, U.K in 1992. His research interests include Formal Engineering Methods for Software Development, Specification Verification and Validation, Specification-Based Program Inspection, Specification-Based Program Testing, and Intelligent Software Engineering Environment. He has published a book titled “Formal Engineering for Industrial Software Development Using the SOFL Method” with Springer-Verlag, ten edited conference proceedings, and over 160 academic papers in refereed journals and international conferences. He proposed to use the terminology of “Formal Engineering Methods” in 1997, has established Formal Engineering Methods as a research area based on his extensive research on SOFL (Structured Object-oriented Formal Language) and its related technologies since 1989, and the development of the ICFEM conference series since 1997. In recent years, he served as General Co-Chair of the International Conference on Formal Engineering Methods (ICFEM 2016, 2017), Steering Committee Chair for ICFEM 2009~2014, and PC member for numerous international conferences. 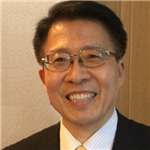 He is on the editorial board of the Journal of Software Testing, Verification and Reliability (STVR) and IEEE Transactions on Reliability. He is a Fellow of British Computer Society, a Senior Member of IEEE Computer Society, and a member of Japan Society for Software Science and Technology.